COLOURS: If you require a bespoke RAL colour you must state this in the comments field when ordering & we will contact you for details. Note that this takes up to 20 working days and is an extra 10% on the net price. A side frame modular platform truck for moving drywall, art collections, doors and windows, insulation , pipes, sheet metal, and other bulky items with a vertical dimension to them that make transporting them awkward, dangerous or both. The sides are 720mm high. 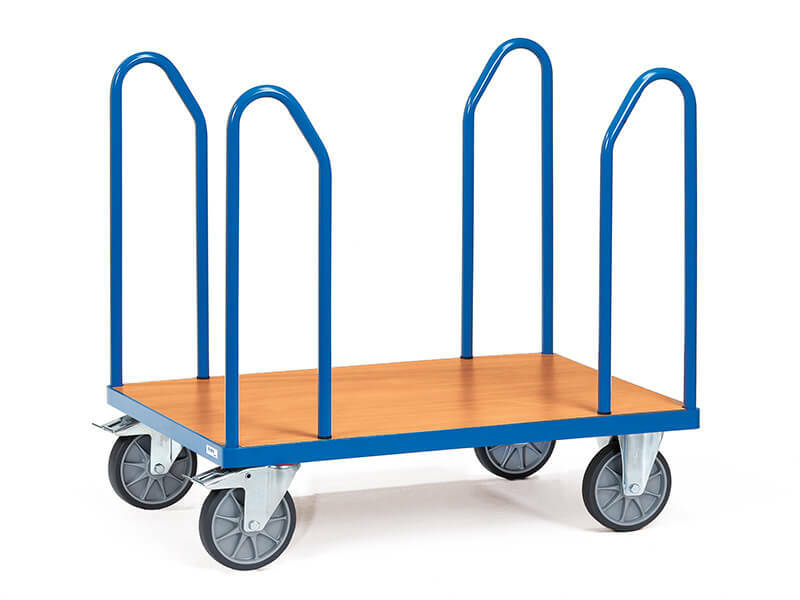 This type of heavy duty trolley is ideal for anywhere that needs to store or transport large sheets of metal, glass, plasterboard or doors. This lat bed trolley can make light work of moving heavy loads, and be a cost effective trolley for making light work of moving heavy loads. Who might use this item? 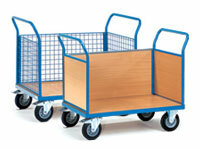 Warehouse operatives may find this trolley truck idea when wanting to move large or awkward shaped items from one area to another. 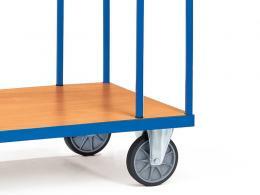 Factory workers transporting components to assembly bays, or anyone in a DIY store wanting to transport products to their vehicle, may benefit from using this simple pull along trolley. 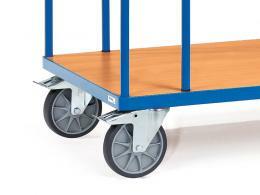 Sizes ranging from 850x500mm to 1200x800mm and with a weight capacity of 500-600kg. Manufactured from strong tubular welded steel and mounted on two braked swivel castors and two fixed for easy manoeuvrability.